This week’s column is meant explicitly for the men of our local Church. I’m talking to you. C.S. Lewis once described Christianity as a “fighting religion.” He meant that living the Gospel involves a very real kind of spiritual warfare; a struggle against the evil in ourselves and in the world around us – not with violence, but with courage and love. Men need a challenge. Men need to test and prove their worth. Men feel most alive when they’re giving themselves to some purpose higher than their own comfort. This is why young men join the Marines or Rangers or SEALs. They do it not despite it being hard, but exactly because it’s hard; because it hurts; because they want to be the best and earn a place among brothers who are also the very best. Men joined the early Capuchins and Jesuits not to escape the world but to transform it; to convert the world by demanding everything a man had — every drop of his energy, love, talent and intelligence — in service to a mission bigger and more important than any individual ego or appetite. As men, we’re hardwired by nature and confirmed by the Word of God to do three main things: to provide, to protect, and to lead — not for our own sake, not for our own empty vanities and appetites, but in service to others. We men — all of us, both clergy and lay — bear a special responsibility because the Gospel tasks us as leaders. That takes nothing away from the genius and ability of women, or the equality of women and men. But human beings are not identical units. We’re not interchangeable pieces of social machinery. Christian equality is based not in political ideology but in the reality of the differences and mutual dependencies of real men and women. As creatures we’re designed to need each other, not replicate each other. Thus, when it comes to leadership, men are meant to lead in a uniquely masculine way. The great saint of the early Eastern Church, John Chrysostom, described every human father as the bishop of his family. All fathers are bishops. And every father shapes the soul of the next generation with his love, his self-mastery and his courage, or the lack of them. So we need to ask ourselves: If I claim to be a believing Catholic man, can I prove it with the patterns of my life? When do I pray? How often do I seek out the Sacrament of Penance? What am I doing for the poor? How am I serving the needy? Do I really know Jesus Christ? Who am I leading to the Church? How many young people have I asked to consider a vocation? How much time do I spend sharing about God with my wife, my children and my friends? How well and how often do I listen for God’s presence in my own life? That means the world needs faithful Catholic men, men with a hunger to be saints. The role of a Catholic husband and father — a man who sacrifices his own desires, out of love, to serve the needs of his wife and children — is the living cornerstone of a Christian home. The Church in this country may face a very hard road in the next 20 years, and her sons need to step up and lead by the witness of their daily lives. Maleness is a matter of biology. It just happens. Manhood must be learned and earned and taught. So we need the friendship of real brothers in the Lord to be the disciples and leaders God intends us to be. Where can we get that? Later this week, on February 3, I’ll be speaking at the excellent annual “Into the Breach” men’s conference sponsored by the Diocese of Phoenix. And here in Philadelphia, the “Man-Up Philly” gathering each year is a tremendous source of friendship and fraternity among Catholic men. Our goal is simple: to use powerful media as a tool to present the true path to freedom and peace by challenging men to live the fullness of their vocation every day; at home, at work, and in their communities … RISE gives men a battle plan for daily living, while walking alongside them each day. RISE is a journey through 30 days of impactful videos and written content. Each day men experience a short and powerful video meditation, inspirational words and quotations, and [they’re] given a [weekly] challenge based on their state-in-life (Single, Married/Kids at Home, Married/No Kids at Home, Separated/Widowed/Divorced). Men will also be immersed into powerful short films of other men who personify the theme of each week. The goal is to help all men, wherever they are on their faith journey, to live life to the full as Sons, Brothers, Spouses, and Fathers. The decline of male maturity and responsibility is one of the greatest problems American culture now faces. Catholic men need to grow as men in the vocation God intends for them. In other words, the healing of the culture begins with the conversion of our own hearts and actions. RISE isn’t the only path to achieving that. But it’s an invaluable tool for the work. More information about RISE can be found at MenRiseUp.org. Words of wisdom. Many thanks, Archbishop. May the Lord of the Harvest send many more zealous men to toil in his vineyard. Thank you Archbishop Chaput. This article is worthy of study, contemplation and discussion with our brothers in Christ. Looking forward to seeing you at the conference this weekend. The Rise Challenge is outstanding! Thoughtful, inspirational and incredibly well done. And a community of men striving to draw closer to Christ and to become more who they were made to be is forming via the comment section each day. Sounds hard to believe but if you login you’ll see what I’m talking about. 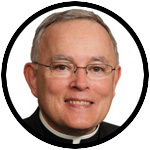 God Bless Bishop Chaput. I hope to see you tomorrow at the Seminary.